Del Cerro scored well the name in the minutes but he previously confused the RFEF spreadsheet for the game of San Mamés. An error due to the origin of the Atletico striker, who was born in the capital of Gipuzkoa? An error that has provoked laughter in Bilbao and San Sebastian. In the form prepared by the RFEF for the match between Athletic and Barcelona, Kenan Kodro, son of the legendary ex-realist and exazulgrana Meho, was renamed 'Donostia'. Coincidentally, his father was in the stands and the kid, who comes from Copenhagen, has already claimed that all his people have been quickly soaked in the philosophy that reigns in Lezama. "One takes very little time to become Athletic, two hours or so, my family too, all including my father" . The anecdote could be explained as a guiño to the origin of the player or a simple mistake by the Federation, which served him the record of Del Cerro Grande. This yes already reflects the name of Kenan Kodro in the final review. The Bosnian-Spanish came out in the last minute of the clash, with a thunderous ovation. 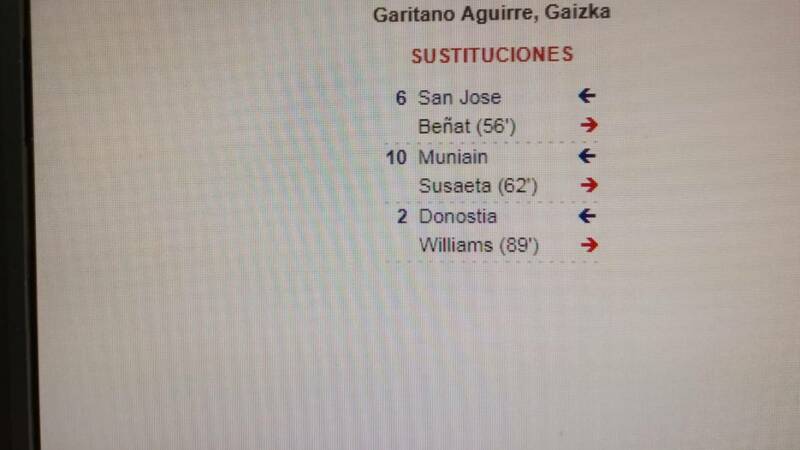 The Federation scored: Donostia, with number 2, by Williams. It was the debut of Kenan with Athletic, the lion number 618 in the history of the club rojiblanco.